Having its own historical uniqueness, the Red Hill Lokpaching is located on Tiddim Road and is a site where British and Japanese fought a battle during World War II. Visiting the place, it takes one to the time when the British brutally ruled over India, but along with it you can even get the rising sense of unity and strength that people had within them until India became free in the year 1947. A visit to Red Hill Lokpaching would be an ideal choice as it wouldn’t be something that is beautiful but a moment that would make you relive the historic past and develop a sense of patriotism and a unique feeling that cannot be expressed in words. 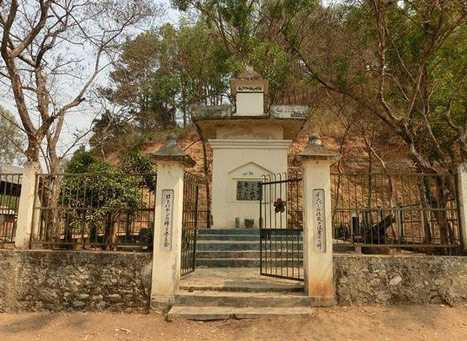 As Red Hill Lokpaching is located at a distance of 6 km from Imphal on Tiddim Road, one could avail the local transport facility to get to the popular tourist attraction. The Red Hill Lokpaching can be visited at any time of the year. But planning a visit during the winter season would be perfect as the weather remains favorable.